With our Sixt car hire deals in Austria you know your holiday or business trip is going to get off to a stress-free start. Your contract is backed up with excellent customer service, affordable rates and a wide choice of premium rental cars. Our extensive fleet has a car rental in Austria for you whether you are following a budget or want something luxurious for a special occasion. Read on for some useful travel and driving tips for making the most of your Austrian visit. We have nearly two dozen car hire in Austria branches located in international airports, train stations, city centres and hotels. All rental vehicle offices are ideally placed for getting your visit off to a great start. Booking your car hire in Austria is easy and if your plans do change, cancellations are often free of charge. 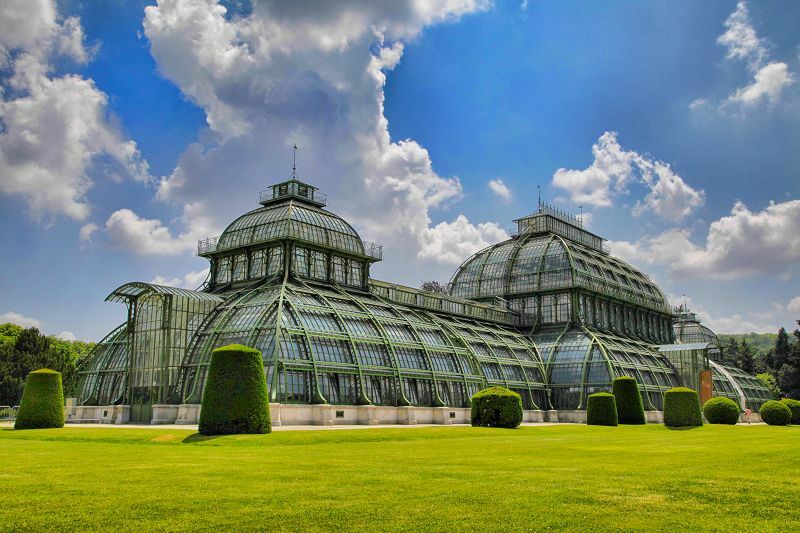 A quick look over this page shows you some of the main cities and attractions to visit when you rent a car in Austria. Your Sixt car hire in Austria is supplied by trusted brands such as Jaguar, BMW, Mercedes-Benz and Audi. 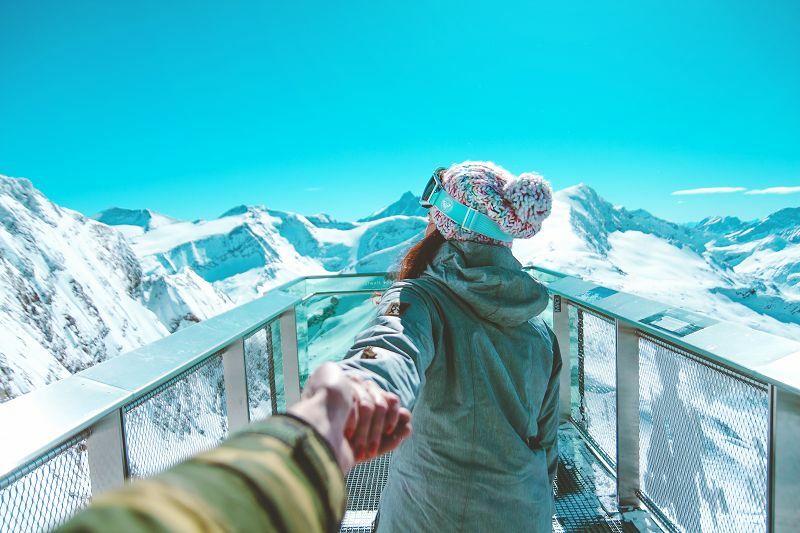 On our bookings page, you can choose to rent a car in Austria with automatic transmission as well as select child seats or arrange one-way car rentals. You can also select from our range of affordable extras. Which car rental in Austria is right for me? Explore city centres in compact vehicles. Fit up to five people and their luggage into estates and 4x4s. Enjoy the Austrian countryside in luxurious sports cars and convertibles. Spacious minibuses can hold up to 14. Transport business materials in useful vans. Austria accepts EU driving licences and international driving licences belonging to European non-residents. If in a non-Roman alphabet like Arabic, Russian or Chinese your licence must be accompanied by an International Driver's Permit (IDP) obtained in the UK from local Post Offices or online. The minimum age for driving a Sixt car hire in Austria is 18. Surcharges apply for drivers under 25, these vary according to the vehicle's model. Full details can be found in the booking engine. Pay for your car hire deals in Austria by credit card or AirPlus. All major credit cards are accepted but not prepaid or debit cards such as VISA Electron. The payment method must be in the driver's name, be in date and be presented at vehicle collection. Should you have any problems in Austria contact our hotline on +43 810977424. The numbers for Austrian emergency services are 133 for police and 144 for ambulances. 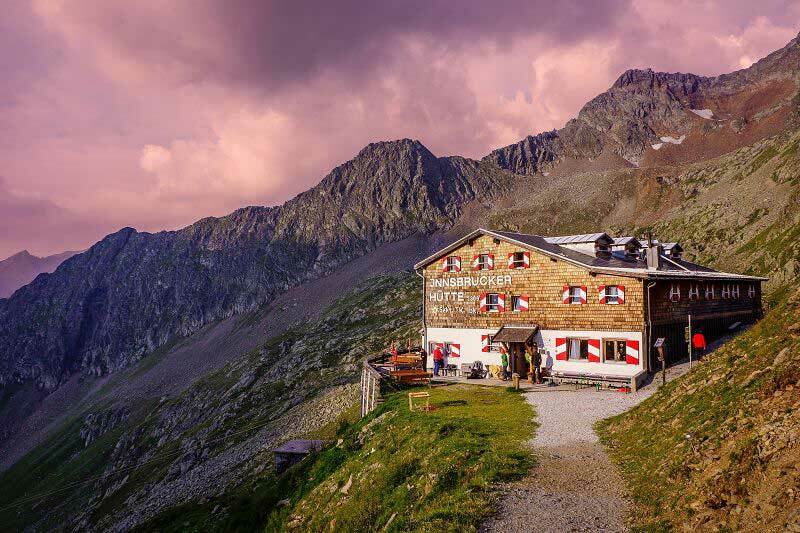 With its small population, well-maintained roads and stunning scenery driving in Austria is a real pleasure whether you wind your way through mountain roads or stick to the motorways. From September to May winter tyres or snow chains will be needed in many parts of the country. Vignette toll stickers are required for driving on motorways while some mountain roads have cash-only toll booths. Horns should only be used to indicate danger. They are forbidden in Vienna and near hospitals. Children under 14 or less than 1.5m in height require appropriate child restraints. Parking is widely available in Austrian cities with some having out of town Park and Ride services. These provide a more economical option. Austrian police can impose and collect on-the-spot fines up to the value of EUR90. If the fine is higher a deposit is collected and the balance must be paid within two weeks. Fines for drink driving range from EUR300 to EUR5,900 and you may be forbidden from driving in Austria. From its mountain top location the Hohensalzburg Fortress offers breath-taking views of the Alps and city of Salzburg. Enjoy everything here from the medieval torture museum to evening music concerts. The Steinhaus or Stone House at Ossiacher See was designed in 1982 by Gunther Domenig. It is a weird and wonderful example of modern deconstructionist architecture. Also totally modern is the blue bubble of the Kunsthaus in Graz which contains an art museum. In contrast, the Schloss Schonbrunn in Vienna is beautifully Baroque and was the Imperial Family's Summer residence. 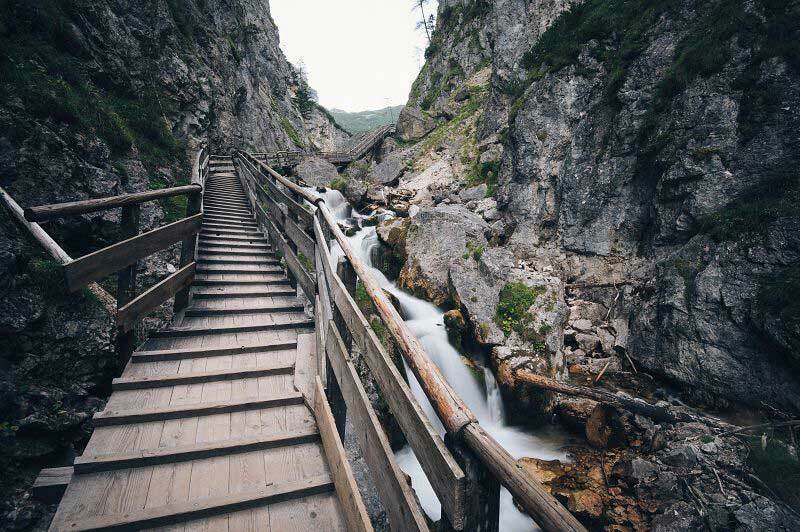 Located in the High Tauern National Park are the magnificent Krimmler Waterfalls, the highest in the country. Right on the border with Germany is the Zugspitze. 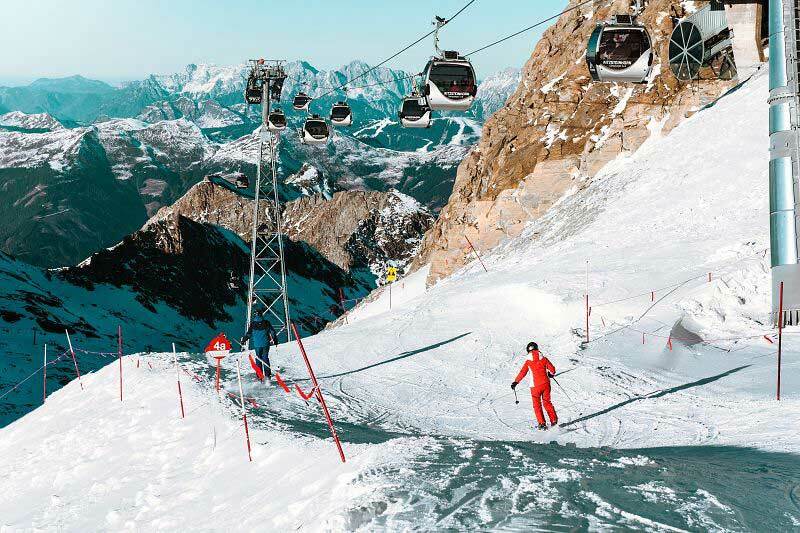 It is the tallest peak in the Wetterstein Mountains but if you do not fancy climbing it, take your pick of three cable cars. The Eisriesenwelt at Werfen takes you deep underground into the world's largest ice cave. Wrap up warmly as the cave is always freezing. Make the most of your rental car with a drive on the High Alpine Road. 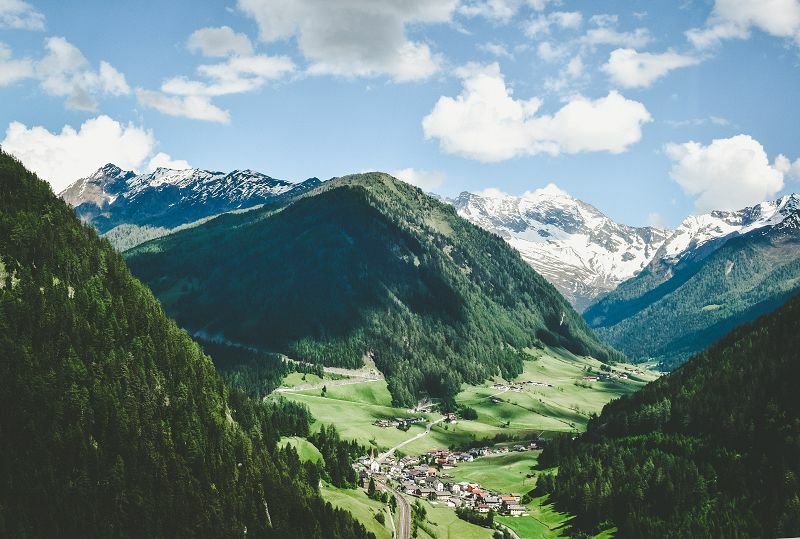 Pass through alpine pastures and flower meadows before you come to the black mountain of Grossglockner. In James Bond: Quantum of Solace (2008), Bond stalks his villains across the floating opera stage at Bregenz while scenes from the more recent Spectre (2015) were shot at several Austrian venues including the Otztal Glacier Road, the Rettenbach Glacier and the Ice Q Restaurant in the ski resort of Solden. Seven Years in Tibet (1997) a film about the Austrian mountaineer Heinrich Harrer saw some scenes being shot in Austria while parts of the spy movie Scorpio (1973) were both set and shot in Vienna. From Austria there are restrictions on driving into some European countries depending on the vehicle type and the zone. Many countries are in Zone 1 and their borders can be crossed by most vehicles. For full details and charges visit our Rental Information page. Crossing a restricted border will invalidate your insurance.